People’s Gas and ComEd have started a new practice. A practice I’m going to call energy shaming. and compare it with my neighbors. All those fancy pie charts and bar graphs do is remind me that I have a 117-year-old drafty house. Oh, and that my carbon footprint is sizably larger than my million-dollar-home-owning neighbors with their airtight new-build homes and state-of-the-art appliances and quadruple-paned energy efficient windows and dry, sealed, usable basements that don’t back up with sewer water. If I could I would replace our 20+ year old appliances and install new non-casement windows and dig out and waterproof our basement. Oh, who am I kidding. In the end, we decided the drafty door problem could be taken care of with this Ace Tight Fit Foam Tape. It was really easy to use. Just cut a strip to size, pull off the backing and stick on the door frame and door jam. My Ace Hardware friendly adviser suggested I stick it to the edge of the door itself. As well as along the hinged side of the door jam. To tackle the breeze blowing through the bottom of the door — and I kid you not, there is a serious Beyonce-hair-blowing-worthy breeze streaming out under that door — I used this twin draft guard product. You just cut the foam pieces to size with a scissor and slide them into the fabric casing. Then I slid it under the door. So far, so good. This As seen on TV product really is standing up to its claim to keep the cold out … and the heat in. 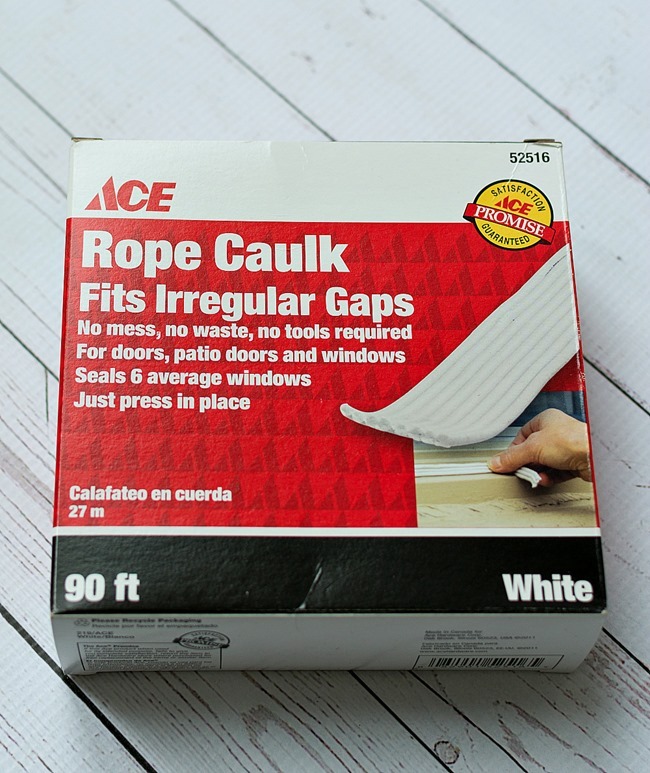 As for those annoying casement windows, my Ace adviser and I collectively agreed the Ace Rope Caulk would be my best bet. Versus those plastic wraps. 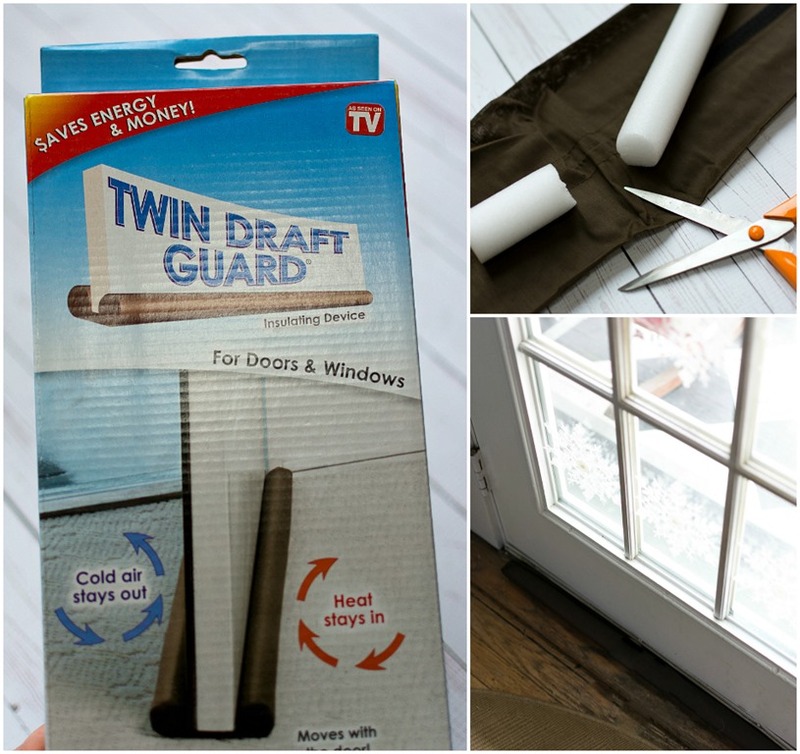 Mostly because the casement hardware on the window frame would get in the way of a good, airtight plastic wrap seal. 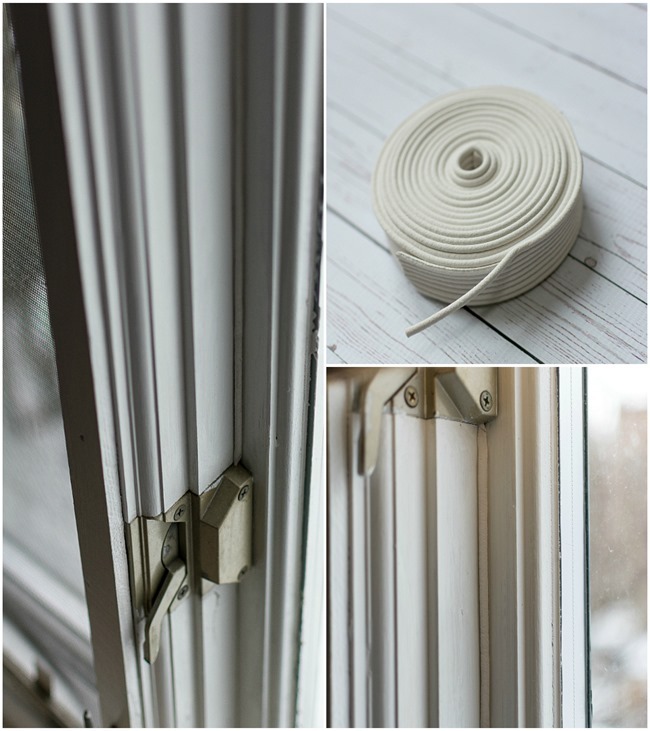 This rope caulk is easy to work with and mess free. Just pull off a bed and press it in place. Plus it’s removable, so we can easily peel it off when (or more like if) spring weather beckons us to open the windows wide and let some fresh city air into this 117-year-old home of ours. 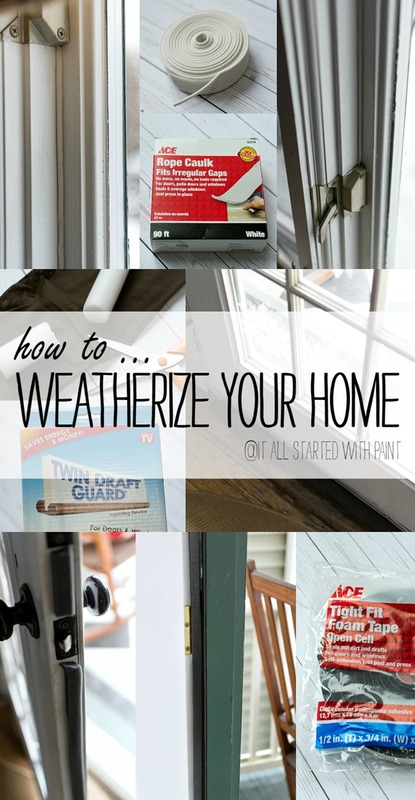 To help you weatherize — or beautify (your choice!) 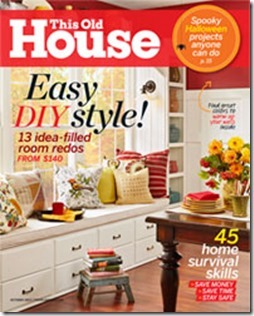 — your home, Ace Hardware wants to give one lucky winner a $100 gift card! This post was written as part of my role as an Ace Hardware Blogger. I was compensated by Ace for this post and for the products used, but all opinions about the products, about Ace Hardware (and about People’s Gas and ComEd’s energy shaming colorful chart-and-graphic-filled reports) are my own. I also used my friendly Ace advisor who suggested I weather strip the door to my crawl space which has kept the mice out and likely also the cold out! I shop at Ace weekly so there are so many things I would get with this gift card — too many to mention! Ace advisors rock! I would buy spring decor and container plants for my home. I’d use it for paint so my master bedroom could get a facelift :)! i would give it to my husband to buy needed tools and such, for work. I would purchase paint and get a fresh coat throughout the house. Lots of great items to help keep the home warm and safe! My front door is currently a problem, with a gap between the door and the frame. I really need to block that gap up! Thanks for the opportunity to win! I desperately need advice on weatherproofing my windows and doors! The gift card would be put to good use! I could really use the gift card for weatherizing my house. Ace is a fun store to shop in. We really need to weatherize our home!! I feel your pain with the drafts under and around doors. We bit the bullet and replaced windows this year, but even with storm doors, the blasts come in during this cold weather. Thanks for the information from Ace Hardware on sealing off those drafty spots. that rope caulk is just what I need! We need paint for our back porch. This would be so handy!!! There is always something to do around the house!! I LOVE ACE Hardware! Thank you for this opportunity! 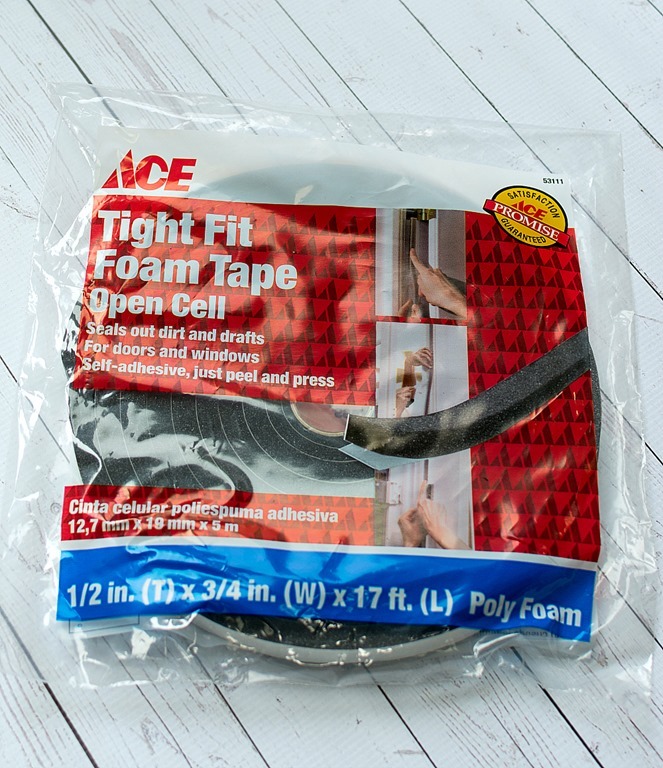 I don’t know what I would use the card for, but TODAY I am going to get some of these things to insulate my entry closet which blows air into the house from every gap – which is every single edge. I would use it to buy spray paint for some diy projects. I would use it towards paint for the outside of my house! I would buy shelving for my garage. We would use it to seal our very drafty windows and get some castors for a table. I would buy some paint. I would use my gift certificate in the spring, to enhance my gardens etc. So sick of winter! With spring fast approaching there are dozens of little projects that will need to be taken care of. I would probably also buy a new blade for my mower along with some grass seed and fertilizer. Ace has such an extensive range of cookware and I need to replace a few pots and pans in the kitchen. This would be great for that. I’ve especially been meaning to get a wok for stir-fries and such. I would buy heater and fans if i won this one. We desperately need a new bathroom faucet! I would purchase some paint so I can paint my living room. I want to get tiles to update our bathroom. I’d use it to buy some bins for organizing our garage. I would get some things to prepare my home for summer so my air does not escape from the house. My electric is always high in the summer. Spring landscaping or we’re going to redo our back sunroom! I’d get pantry organization supplies! Definitely paint! I am in the process of freshening up the rooms in my house and paint is the first step! I would use the gift card to buy some paint to redo our living room and hallway. i woudl buy some paint to reshresh the house, change the girls room and for the bathroom remove that hideous wallpaper! I Hope somehow you’re staying warm, what a winter you’ve had. Spring can’t come soon enuf for Chicago. I feel so badly for all of you getting frozen and snowed in. Just little snow for us this year and was like spring all during January pretty much but winter reared it’s head so we’ll be getting snow but not the usual really cold temps. my fiance and I just got a new house and can’t buy new windows yet so this will definitely help! I would save it until spring time and buy things for my garden and backyard. I w9uld get painting supplies — we are going to be painting our guest bedroom soon! I would use it to paint the walls in our new home. I would use it for spring yard supplies — potting soil, seed, bird food, yard tools. I would buy paint for the exterior of our home. I would put it towards the supplies for the bathroom that we are FINALLY FINISHING after 12 years!!! 😀 This would really come in handy to make my dream bathroom this Spring. Thanks for the great chance! Oh, what would I do with it….hmmm…I could do the same thing you did. I do have some drafty windows. I also need and WILL paint the exterior of my house this Summer. I would love to get lawn bags and stock up on paint. Definitely use it towards paint! I would use the card to buy screening materials to replace screens and mulch for my gardens! I would use it to purchase paint for the living room and kitchen. I would buy gardening supplies and chicken wire to keep my dogs out of the garden. I would like to buy paint so I can paint my bathroom. Oh first, I would love to do what you did. I get such drafts in my door and windows! That is so neat putting it right on the door side! I also would love to paint my front door! I am working on redoing my bathroom so this would be a good use! I would buy paint for my living room. I would buy paint for the house! 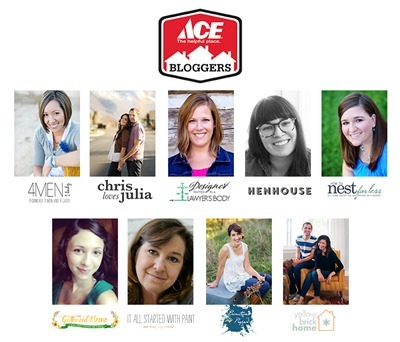 I use Ace Products in my home decor and garden art… So I would buy a lot of happy paint colors! 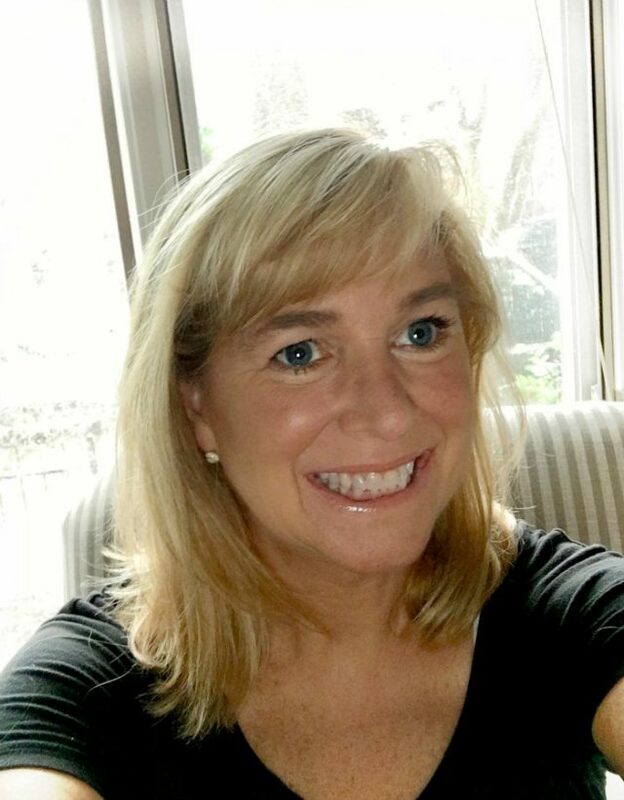 I enjoy your hard work putting together your sweet blog and if I win the $100.00, I think I would purchase a few bricks and flowers and good stuff for my little yucky looking garden area outside my apt. That’s been my suppressed dream for about 4 years now,” if only I could do this and that, it would be so fun and pretty” but alas, ! Any way it would be fun to win but if not keep up the hard work it had been enjoyable, thankyou! I need to replace my back door! I would buy some drywall board and mud to fix a couple of holes and buy a new smoke alarm. We’re starting a huge landscape project in about a month. This would help! 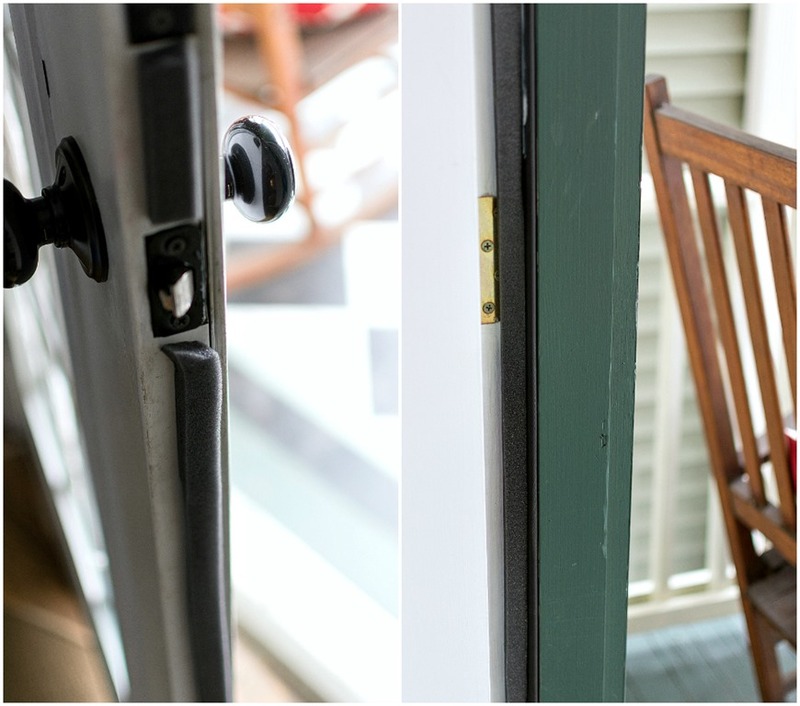 I would get weatherstripping for our front door and a much better seal for our patio door. New furnace filter and then a little extra for some bird seed for entertainment.